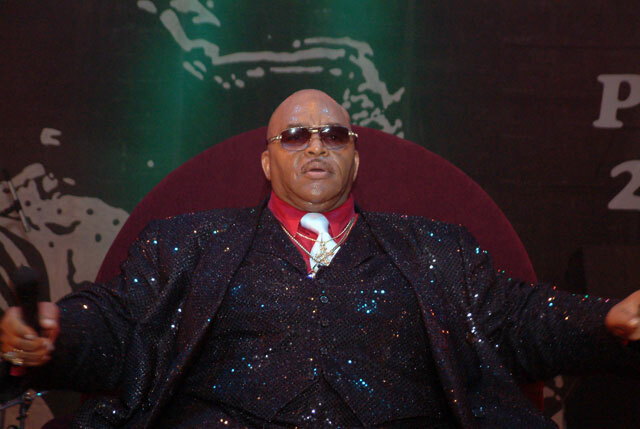 Solomon Burke, the rhythm and blues legend, whose “Everybody Needs Somebody to Love” became a Blues Brothers favorite, died on October 10th at the Schiphol Airport in Amsterdam (“Solomon Burke, Influential Soul Singer, Dies at 70,” NYT, l0/11/10). He was 70 and, as the Times reported in their half-page obit, which included a picture of the zaftig Burke, mike in hand, bedecked in jewels and flanked by a base player and guitarist, he had 21 children, 90 grandchildren and 19 great grand children. “I got lost on one of the bible verses that said, ‘be fruitful and multiply,’” the Times quoted him as saying. Though James Brown was known to most as the “Godfather of Soul,” Burke took his coronation by a DJ seriously and “often performed in full royal habit—crown, scepter and robe—and sat in a golden throne on stage.” Burke was not only an ordained minister, he was a mortician, the Times reported, which might explain the genesis of the song “Just Out of Reach (of My Two Open Arms).” Today, female stars of film and stage have lots of children, but they’re serial adopters. Could you imagine what Angelina Jolie’s figure would look like if she’d mothered 19 children with Brad Pitt? And when it comes to royalty, the distaff are again outdoing the men, Lady Gaga being the latest example of self-anointed rock nobility. In any case, the Times obit was a royal send off for a spirit who was creative and pro-creative at the same time.